Before the state of overwhelming proportions took hold in my Kitchen Re-Do, seemingly affecting everything throughout my entire home, including the wonder of entertaining a child after arriving home from camp with the remodel team still hard at work, I enjoyed a lovely lunch one afternoon with Cookbook Author, Aliza Green. 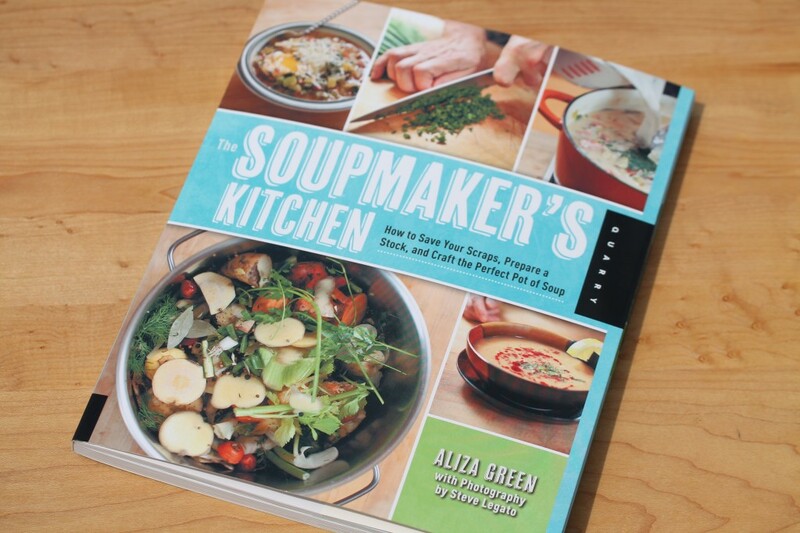 It is always great to see Aliza and this time, clutched in her arms, was the first advance copy of her most recent cookbook, The Soupmaker’s Kitchen, How to Save Your Scraps, Prepare a Stock, and Craft the Perfect Pot of Soup. 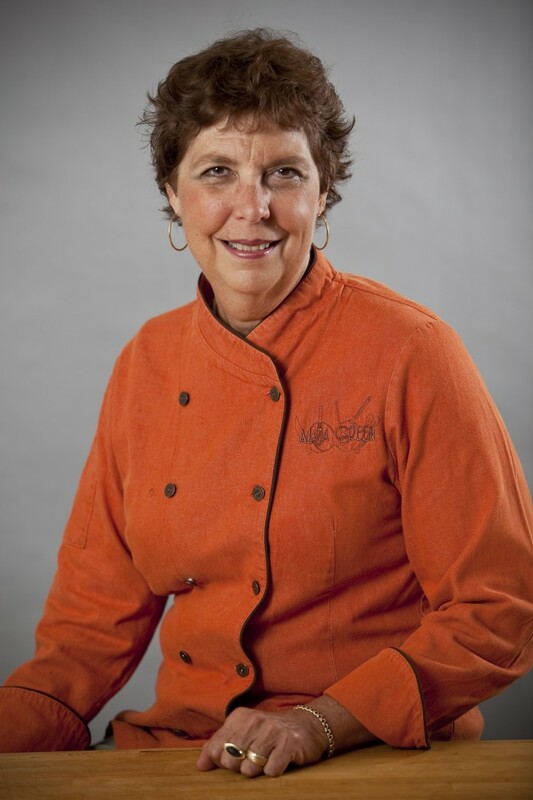 Aliza was working on this cookbook at the time I first interviewed her on another of her cookbooks, Starting With Ingredients, as part of my launch for Spiced Peach Blog last July and so it is one I have been very much looking forward to. Once at the restaurant, I managed to edge away what was the only available copy at the time and brief through the very interesting selections while taking in some of the valuable information it contained as Aliza busied returning a call to the Washington Post inquiring food related knowledge and a couple of quotes from her toward an upcoming article. I will say I love this cookbook, and it may be one of my favorites of not only Aliza’s but amongst all of my cookbooks combined, and you might rightly assume this would be many. As the kitchen remodel resumed last week, and assembly Directions for everything from putting in a new Dishwasher to my new Wolf Oven with the beautiful red knobs completely covered the construction style blanket lining my Kitchen Table, (I’m telling you nothing compares to the shell shock of this experience) a copy of The Soupmaker’s Kitchen then arrived by mail. My excitement was dimmed only by the fact I was interrupted any number of times on detailed questions among the work men, who as far as the re-do, I just want them out of my house, soon, very soon. With the holiday weekend upon us, the Kitchen Guys inquired if they might finish up things the following week and the answer was a resounding yes, I was genuinely pleased if only for a temporary break and restoration of sanity. Naturally, I just had to cook over the weekend and preparing two soups from Aliza’s book was quite restorative. Yesterday, as part of a few prepared courses I made Billi Bi soup from the cookbook, which is a mussel soup based on a traditional dish from Brittany France. All I can say is that the flavors of this soup are quite sensational and everyone just loved it. I plan to make it again when my next-door neighbor makes a return visit from the shore. The only adaptation I made was to add in little chunks of tiny red potatoes, cooked and cubed, I also used Lobster Stock as my quart stock called for which added in a whole other dimension of richness. I will share a more formal overview of Aliza’s latest cookbook, The Soupmaker’s Kitchen in another Post, I believe there is much you will want to know, and it is definitely a worthwhile addition to any cookbook collection though one that will likely become splattered and dog-eared from heavy use. For this Post however, as we finish out the last days remaining of the Kitchen Redo and getting back to normal I just had to share the luscious delight, Billi Bi Soup, enjoy. "Based on a traditional dish of the French province of Brittany on its western Atlantic coast, where mussels are abundant." Soak the saffron in enough of the white wine to cover, 15 minutes, or until the liquid is bright yellow. Reserve. 1. 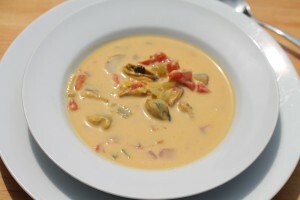 Combine the remaining white wine, mussels, thyme, and red pepper flakes in a large soup pot. Cover and steam over high heat until all the mussels open, about 8 minutes, shaking the pot occasionally. 2. Strain the mussels into a colander placed over a bowl to catch the precious juices, known as the "liquor." 3. To ensure that no sand remains in the mussel liquor, pour it through a dampened paper towel or coffee filter laid inside as a sieve and reserve. 4. 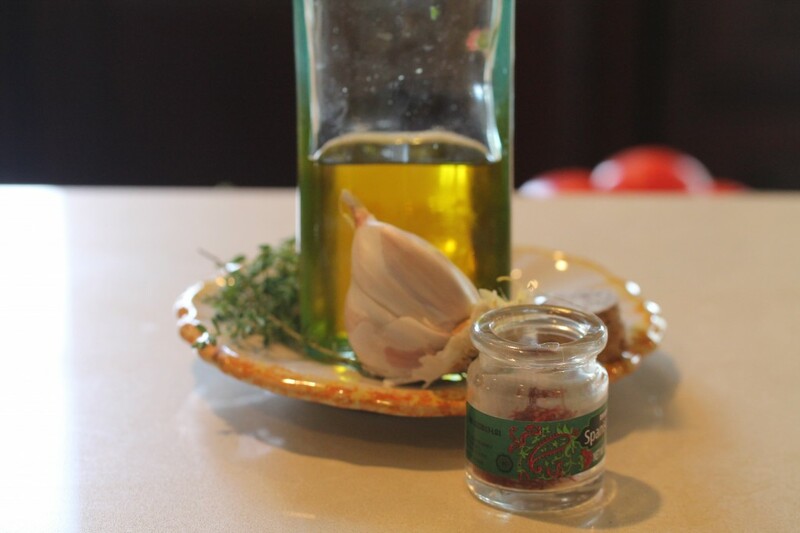 Meanwhile, in a second large stock pot (or wash out and reuse the first pot), heat the olive oil over medium heat. 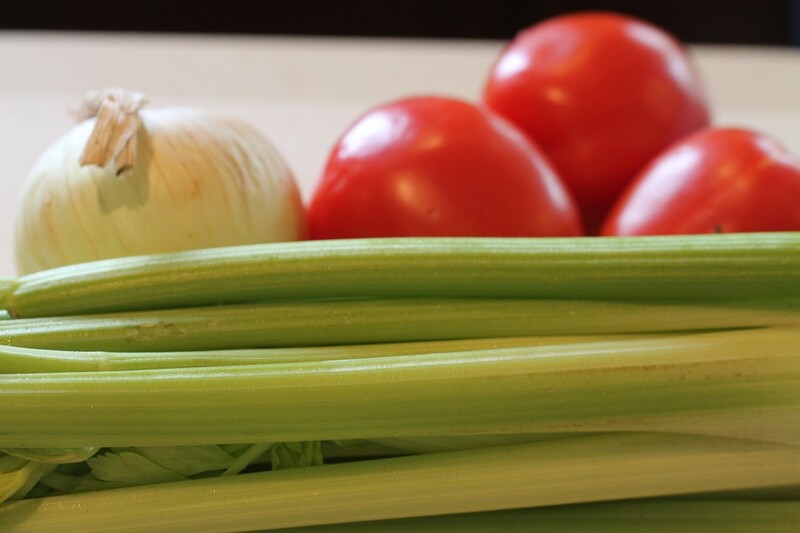 Add the celery, onion, and garlic, and saute until fragrant, about three minutes. 5. Stir in the flour and cook for 2 to 3 minutes; add the tomatoes and continue cooking for a total of 5 minutes, or until the vegetables are crisp tender. 6. Pour in the saffron-white wine mixture, the brandy, and Pernod and cook for 3 to 4 minutes, until the flavors are combined. Add the strained mussel juice and stock or clam broth to the pot. Bring to a boil and simmer together 5 minutes. 8. To make the liaison (binder/thickener) whisk together the yolks and about 1/2 cup (120 ml) of the cream in a medium bowl. While whisking, pour in about 2 cups (475 ml) of the soup liquid to gently heat and temper the custard mix. 9. Pour the remaining cream into the pot and stir to combine. 11. 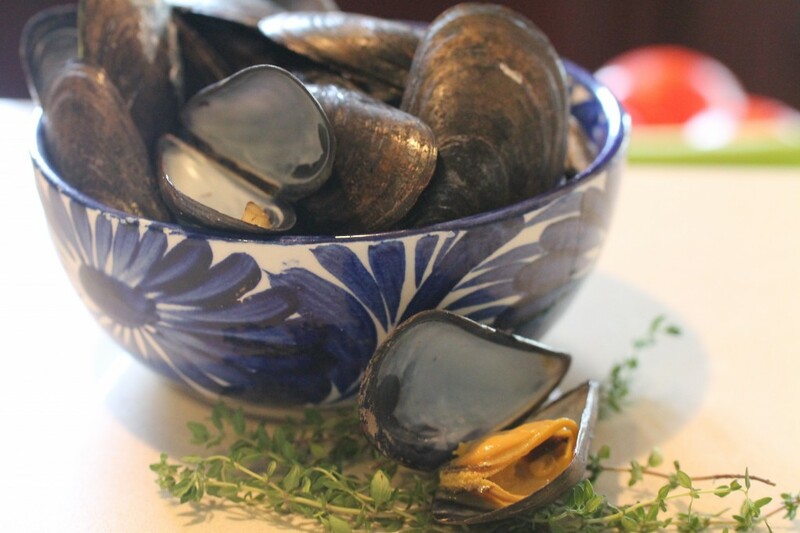 Add the reserved mussels to the soup, stir to combine and serve immediately. 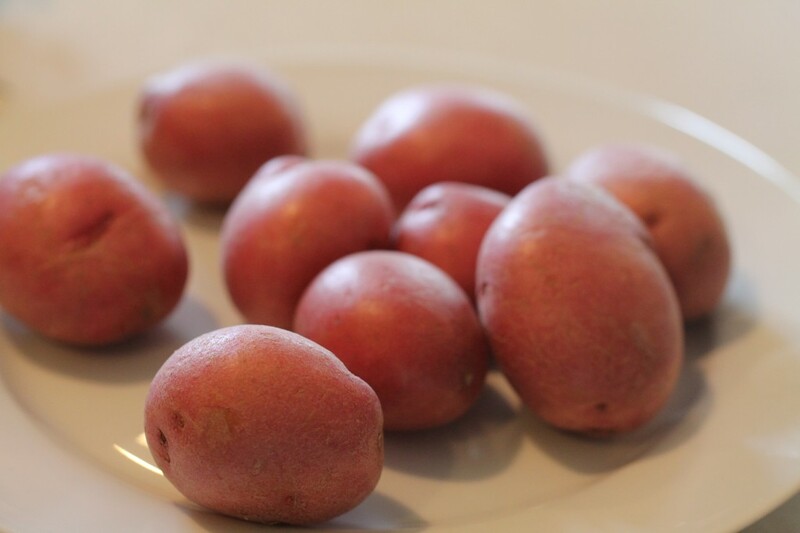 The slight adaptations I made with this recipe included the addition of very small cooked red potatoes, cubed, added in at Step 6 and I used lobster stock as the quart stock adding extra richness to the flavor. This entry was posted in Cookbooks, Soups and tagged Aliza Green, Aliza Green Billi Bi Soup, Aliza Green's 'The Soupmaker's Kitchen', Billi Bi Soup, The Soupmaker's Kitchen, The Soupmaker's Kitchen by Aliza Green. Bookmark the permalink. Post a comment or leave a trackback: Trackback URL. I am a big soup fan and even eat it in the summer. I love mussels and that soup looks right up my alley! Thanks Phil, theregularguynyc.com I love soup too and this has a really rich, creamy texture, excellent flavor. Loved the New York Jewish Deli Post and look forward to getting my fix sometime time. Thanks again for joining in.